The tech savviness of people across the globe has increased to such an extent that they expect every task to be accomplished at the click of a mouse. Be it placing an order for electronic equipment or guiding their way to the most popular holiday destinations, today’s tech-savvy customers can do it all. 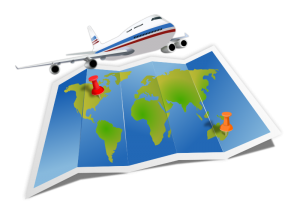 Since travel never happens without preparation, a customer can get in touch with your contact center representatives to inquire about the availability of flights, price of tour packages and even details of the itinerary. Leaving calls unattended automatically diverts your business to a counterpart who is eagerly waiting for such an opportunity. In other words, you are likely to lose prospects even when you did not intend to do so. A person willing to travel would contact you only if he feels that you can provide the information that he needs. In this situation, not guiding the individual in the appropriate manner or not providing him with the information that he is looking for might leave him dejected or even frustrated. Being a company operating in the travel domain, you completely understand that an experienced contact center enterprise is the one that can handle your customers with tact. A competitive business world and pressure to deliver compels companies to reduce their operating expenditure. They need to retain their position in a market where even wafer-thin margins can change the game overnight. If you feel that communication can aptly bridge the gap between your clients and enable the growth of your business, then Vcall Global is the ideal service provider for you. We possess the capability to handle the queries of your customers. Not only do we ensure that they are provided with accurate information, but also go an extra mile to make them happy. Any aspiring traveler that calls up our contact center interacts with a customer service outsourcing representative who has complete knowledge of your products and services. He exactly knows how a particular piece of information fits into the set of requirements of a customer. Therefore, 24×7 support makes your customer feel that he can start from his home without any worry! The problems of a traveler may continue both during as well as after the travel. This implies that he is likely to turn to his service provider many times. Often, the issues brought up by a customer turn out to be urgent and call for immediate rectification. In all likelihood, handling such issues immediately becomes the need of the hour. At the end of the day, it takes no time to ruin someone’s reputation that has been built over a period of time. The availability of so many service providers in every domain has made customers understand their importance. This is the reason no customer is ready to wait and expects immediate services. Vcall Global completely understands the psyche of customers and thus fulfills their requirements through effective order taking service management. Your customers can contact us through any touch point that is convenient for them. We offer various services such as online chat and email support outsourcing through the website as well as social media support. This helps in converting the visitors into customers. In addition, our presence on various social networking platforms like Twitter and Facebook allows us to feel the pulse of the market and act according to the requirements of customers. We try to improve upon our services and communicate the same to our business affiliate. This helps in overall growth and expansion.